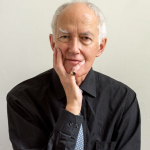 Anthony Heath is Director for the Centre for Social Investigation at Nuffield College, Oxford and Emeritus Professor of Sociology at the University of Oxford. He has published widely, particularly on ethnic inequalities, diversity and integration, social stratification and social mobility, and national identity. His recent books include The Political Integration of Ethnic Minorities in Britain (OUP 2013) and Unequal Attainments: Ethnic Educational Inequalities in Ten Western Countries (The British Academy, 2014).